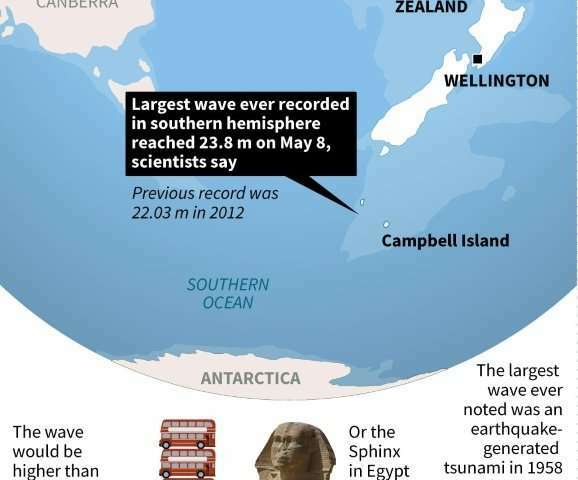 Scientists have recorded what is believed to be the largest wave ever in the southern hemisphere, a 23.8 metre (78 foot) monster the height of an eight-floor building. 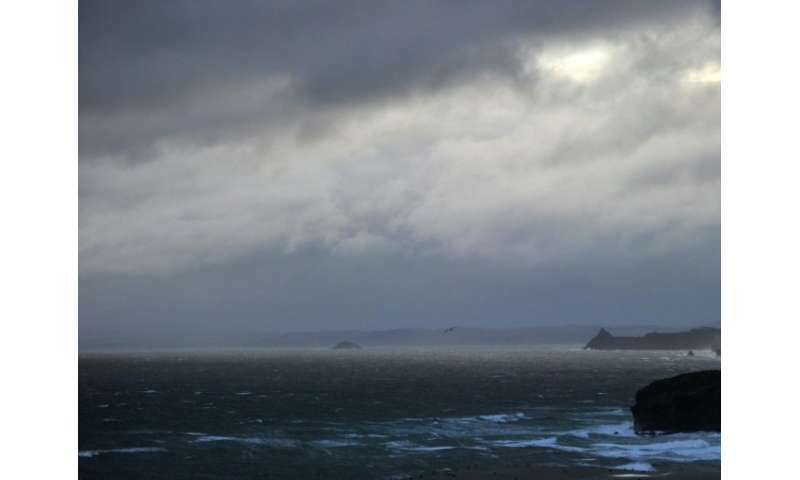 "To our knowledge it is largest wave ever recorded in the southern hemisphere," he said, adding that the Southern Ocean was an "engine room" for generating swell waves that move across the planet. "Indeed, surfers in California can expect energy from this storm to arrive at their shores in about a week's time," he said. Graphic on the monster wave recorded in the southern hemisphere. "It's very probable that larger waves occurred while the buoy was not recording," he said. The largest wave ever noted was an earthquake-generated tsunami at Alaska's Lituya Bay in 1958 that measured 30.5 metres, according to Smithsonian magazine.